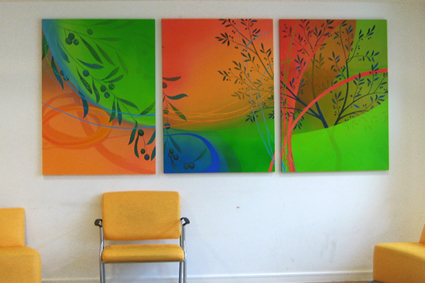 Atriptych on the theme of the olive tree brings both colour and movement to main waiting area. 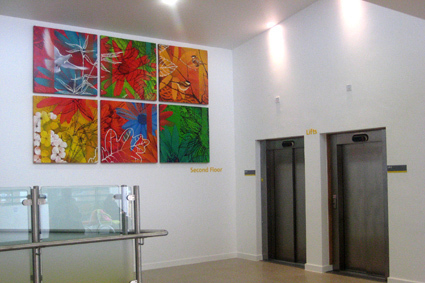 Following on from consultation workshops, designs were approved for a set of six canvases which formed the focus of the main reception area. 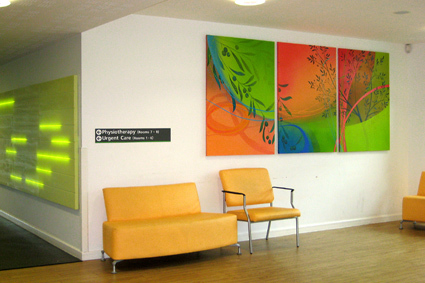 These were then reproduced on a large scale around the patient waiting areas. 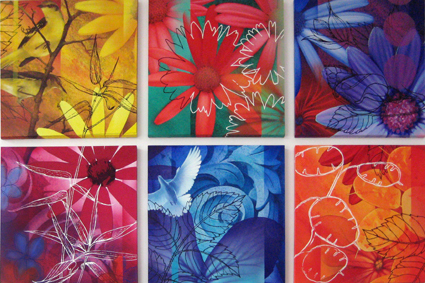 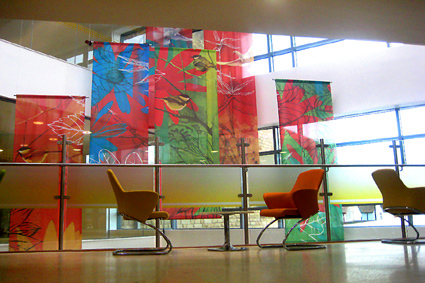 A series of artworks were commissioned to bring colour and interest to the waiting areas. 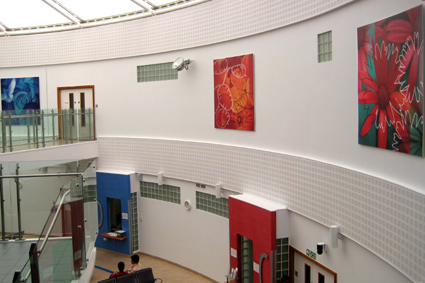 These included a series of paintings for the reception, a large hanging (spanning the tripple hight atrium space) and obscurred window decals.